Wildlife Among the "Wild Life"
I spend a few weeks each winter in Southwest Florida, on the Gulf Coast. This time of year, things can get a bit "wild" according to my relatives who live here...traffic backs up for miles to cross bridges that bring them to Estero or Sanibel Islands, people circle parking lots waiting for spots, restaurants have waiting lines out the door for dinner and that's at 4:30 PM! Yes, when snowbirds and spring breakers all arrive at the same time, it can be "wild"! 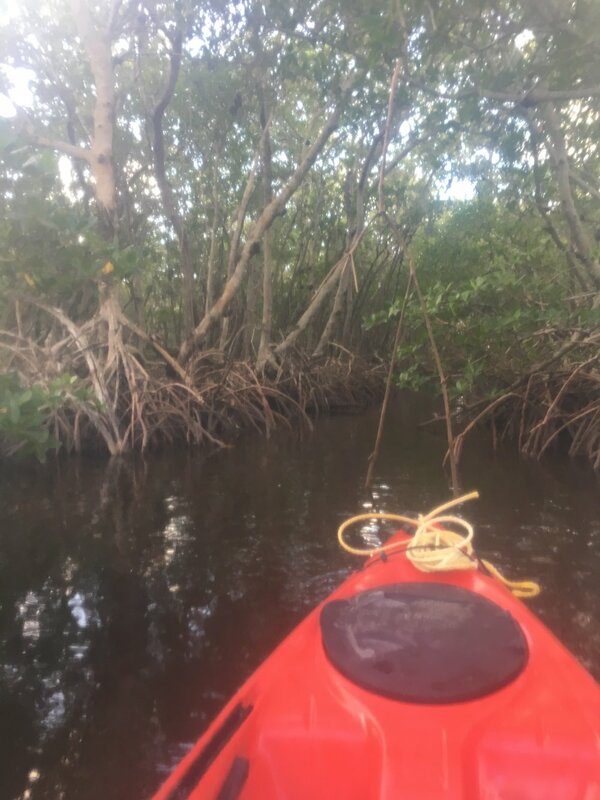 Kayaking in the mangroves along the Calusa Blueway in Ft Myers. But what about the REAL snowbirds? The feathered fauna who arrive from all over the East Coast to feed and stay out of the cold northern climes. They are the real "wildlife" of Florida, and you don't have to go very far to find it. Two years ago, I shared this post about how to find real Florida, http://www.goseeittravel.com/travel-blog/2015/1/26/real-florida and while this little corner of Florida where I visit has only gotten busier, I still can find a quiet spot to dip my paddle or peddle a bike or walk where the wildlife lives and is usually pretty patient with me watching, so long as I am quiet and not a threat! Hope the next time you travel somewhere known for beaches, nightlife, or all you can eat buffets, you'll also get a chance to take a few minutes to meet the real life "wild residents" too! 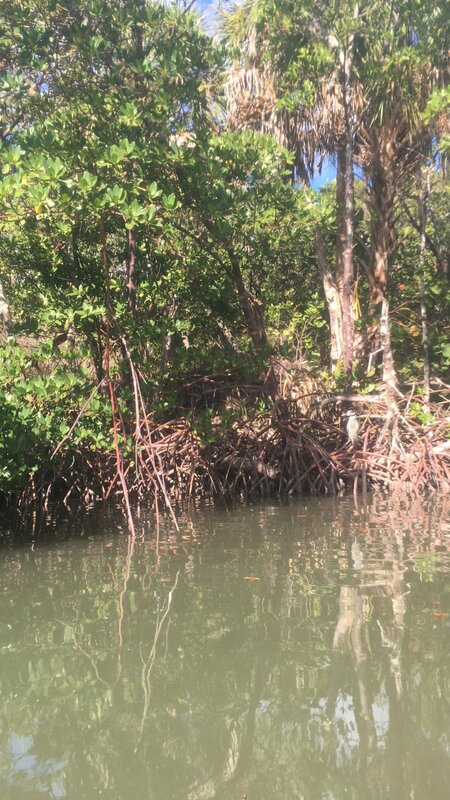 A heron sits in the mangroves, keeping an eye on me as I glide in its direction on my kayak.